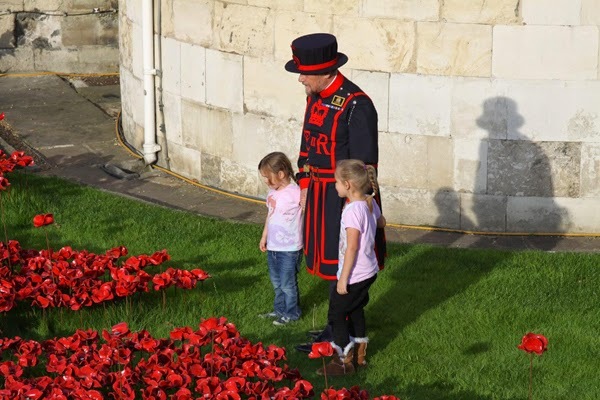 Throughout the Commonwealth Nations, millions of people are wearing a red poppy pinned to their lapel to pay respect to those who lost their lives in the First World War. Remembrance Day (also known as Armistice Day), is observed on November 11th and marks the anniversary of the formal end of World War I. This was one of the deadliest conflicts in history, with casualties of 9 million soldiers and 7 millions civilians. It’s hard to swallow just thinking about it. This year also marks the 100th Anniversary since World War I began. 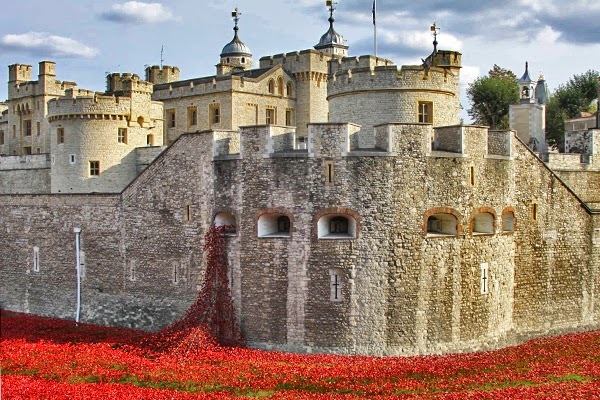 The Tower of London is home to an art installation whereby the tower’s moat is filled with thousands of hand-made ceramic poppies. 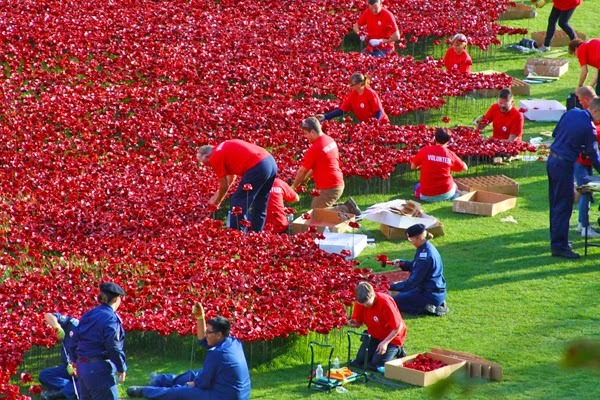 888,246 poppies to be exact, one for every British soldier who lost his life during World War I. 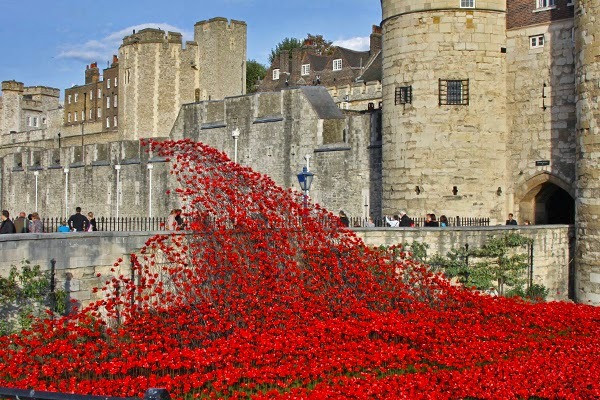 The name of the piece is, “Blood Swept Lands and Seas of Red”, and the last poppy will be put in place Nov 11th, 2014. The remembrance poppy is a symbol of memorial because poppies bloomed across some of the battlefields of World War I and their bright red color a symbol for the blood spilled in the war. 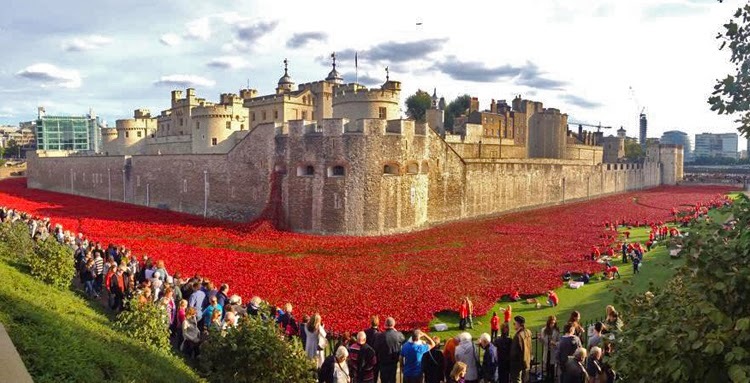 Take a quick minute to have a look at the stunning monument being put in place to mark this years Remembrance Day, as photographed recently by Lori Miller.